The failure of both drone strikes and Pakistani military operations in the FATA tribal areas to stem the tide of terrorism had led to a decision by Prime Minister Nawaz Sharif to try a political dialogue with the Taliban. But the drone strike that killed Mehsud stopped the peace talks before they could begin. An unidentified State Department official refused to address the Pakistani minister’s criticism, declaring coolly that the issue was “an internal matter for Pakistan”. Three different Taliban commanders told Reuters Nov. 3 they had been preparing for the talks but after the killing of Mehsud, they now felt betrayed and vowed a wave of revenge attacks. The strategy of engaging the Taliban in peace talks, which was supported by the unanimous agreement of an “All Parties Conference” on Sept. 9, was not simply an expression of naïvete about the Taliban as was suggested by a Nov. 3 New York Times article on the Pakistani reaction to the drone strike. A major weakness of the Tehreek-e-Taliban Pakistan (TTP) lies in the fact that it is a coalition of as many as 50 groups, some of whose commanders are less committed to the terrorist campaign against the Pakistani government than others. In the aftermath of the Mehsud killing, several Taliban militants told Reuters that some Taliban commanders were still in favour of talks with the government. The most important success achieved by Pakistan in countering Taliban violence in the past several years has been to reach accommodations with several militant leaders who had been allied with the Taliban but agreed to oppose Taliban attacks on government officials and security forces. Sharif and other Pakistani officials were well aware that the United States could unilaterally prevent such talks from taking place by killing Mehsud or other Taliban leaders with a drone strike. The government lobbied the United States in September and October to end its drone war in Pakistan – or at least to give the government a period of time to try its political strategy. Shortly after the meeting, Sharif’s adviser on national security and foreign affairs, Sartaj Aziz, said in an interview with Al Jazeera that the Obama administration had promised to “consider” the prime minister’s request to restrain drone attacks while the government carried out a political dialogue. A “senior Pakistani official” told the Express Tribune that Obama had “assured Premier Nawaz that drone strikes would only be used as a last option” and that he was planning to end the drone war once “a few remaining targets” had been eliminated. But Obama’s meeting with Sharif evidently occurred before the CIA went to Obama with specific intelligence about Mehsud, and proposed to carry out a strike to kill him. 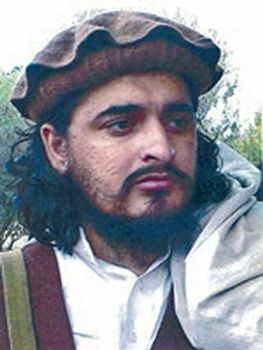 The CIA had an institutional grudge to settle with Mehsud after he had circulated a video with Humam Khalil Abu-Mulal al-Balawi, the Jordanian suicide bomber who had talked the CIA into inviting him to its compound at Camp Chapman in Khost province, where he killed seven CIA officials and contractors on Dec. 30, 2009. The CIA had already carried out at least two drone strikes aimed at killing Mehsud in January 2010 and January 2012. Killing Mehsud would not reduce the larger threat of terrorism and would certainly trigger another round of TTP suicide bombings in Pakistan’s largest cities in retaliation. Although it would satisfy the CIA’s thirst for revenge and make the CIA and his administration look good on terrorism to the U.S. public, it would also make it impossible for the elected Pakistani government to try a political approach to TTP terrorism. Obama appears to have been sympathetic to Sharif’s argument on terrorism and had no illusions that one or a few more drone strikes against leading Taliban officials would prevent the organisation from continuing to mobilise its followers to carry out terror attacks, including suicide bombers. But the history of the drone war in Pakistan shows that the CIA has prevailed even when its proposed targets were highly questionable. In March 2011, U.S. Ambassador to Pakistan Cameron Munter had opposed a CIA proposal for a drone strike just as CIA contractor Raymond Davis was about to be released from a jail in Lahore. Munter had learned that the CIA wanted the strike because it was angry at Pakistan’s ISI, which regarded the Haqqani group as an ally, over Davis’s incarceration, according to an AP story on Aug. 2, 2011. The Haqqani group was heavily involved in fighting U.S. and NATO troops in Afghanistan but was opposed to the TTP’s terror attacks in Pakistan. CIA Director Leon Panetta rejected Munter’s objection to the strike, however, and Obama had supported Panetta. It was later revealed that the strike had been based on faulty intelligence. It was not a meeting of Haqqani network that was hit but a conference of tribal leaders from all over the province on an economic issue. But the CIA simply refused to acknowledge its mistake and continued to claim to journalists that only terrorists had attended the meeting. After the strike, Obama had formalised the ambassador’s authority to oppose a proposed drone strike, giving Munter what he called a “yellow card.” But despite the evidence that the CIA had carried out a drone strike for parochial reasons rather then an objective assessment of evidence, Obama gave the CIA director the power to override an ambassadorial dissent, even if the secretary of state supported the ambassador. The extraordinary power of the CIA director over the drone strike policy, which was formalised by Obama after that strike, was evident in Obama’s decision to approve the CIA’s proposal for the Mehsud strike. The director was now John Brennan, who had shaped public opinion in favour of drone strikes through a series of statements, interviews and leaks as Obama’s deputy national security adviser from 2009 to 2013. Even though Obama was determined to phase the out drone war in Pakistan and apparently sympathised with the need for the Pakistani government to end it within a matter of months, he was unwilling to reject the CIA’s demand for a strike that once again involved the agency’s parochial interests. A late July 2013 survey had shown that 61 percent of U.S. citizens still supported the use of drones. Having already shaped public perceptions on the issue of terrorism, Obama allowed the interests of the CIA to trump the interests of Pakistan and the United States in trying a different approach to Pakistan’s otherwise intractable terrorism problem.